The feeling of sun rays warming your skin while water quietly cools you down as you lounge seems like luxury. The Ledge Loungers now make that possible! 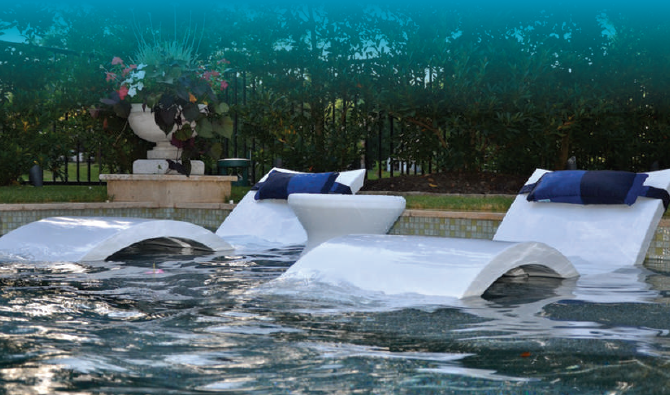 Made with long-lasting material, these UV-resistant loungers are made to be in the water and sun! 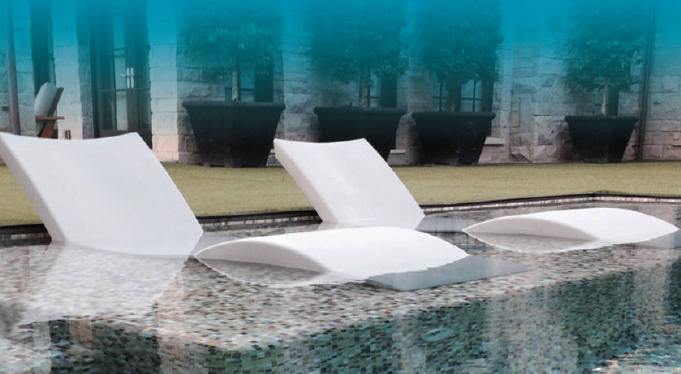 The Chaise is designed comfortable with durability in mind. 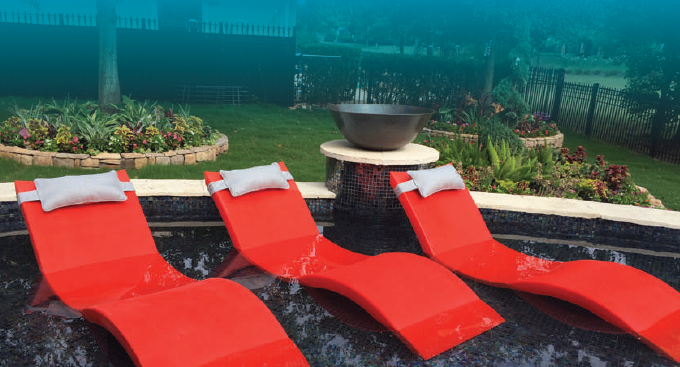 Getting it ready is as easy as two steps- submerge it into your pool and setting it place. Now it’s time to enjoy life on the [l]edge! These headrest pillows are designed to stay in place and last with fabric made from Sunbrella. The harsh environment is no match for these pillows available in six different colors and monogramming options. Whether you’re reading a book, enjoying a glass of ice cold lemonade, or indulging in a little snack, the Ledge Lounger Table is a great accessory to add to your life on the [l]edge. When the sun is unbearable, open the umbrella up to give you a cool shade. This umbrella is made from the marine-grade Sunbrella fabric and goes hand-in-hand with the Ledge Lounger Table.